One of my favourite things about beauty products is there is always something new on the market; thus, making my knowledge of skincare constantly evolve. Not too long ago I discovered that there is a proper way to be layering your skincare. I never really thought about the order, I figured, if I was applying it, then it was doing it’s job. Right? Wrong! The general rule of thumb is to apply from thinnest, to thickest. Apply an essence water or toner. Another great product is a Hydrating mist; it helps hydrate and refresh your face. It also can be a great thing to use throughout the day to refresh your makeup! 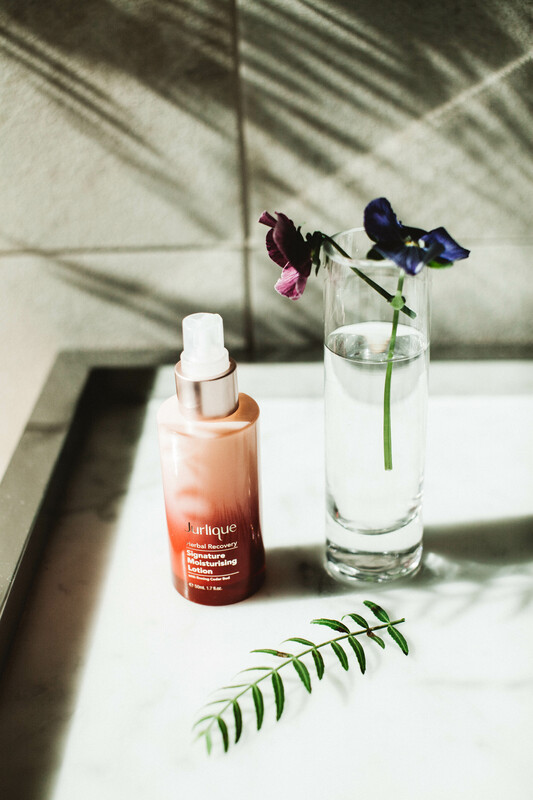 The Jurlique Herbal Recovery Signature Mist feels like you’re spraying violas onto your face. Apply any topical creams for spots. I have been using a Murad one as my skin on my cheeks has been breaking out. Next up are serum. I have been using the Herbal Recovery Serum from Jurlique. It smells so good and it helps reduce the appearance of lines, wrinkles and even out your skin tone. I definitely recommend introducing a product like this as it helps with an additional layer of moisture and glow. I used to disregard this area because of my age, but my friend Ruby’s facialist told her about the benefits of using an eye-cream in your 20s, so I have jumped on board. 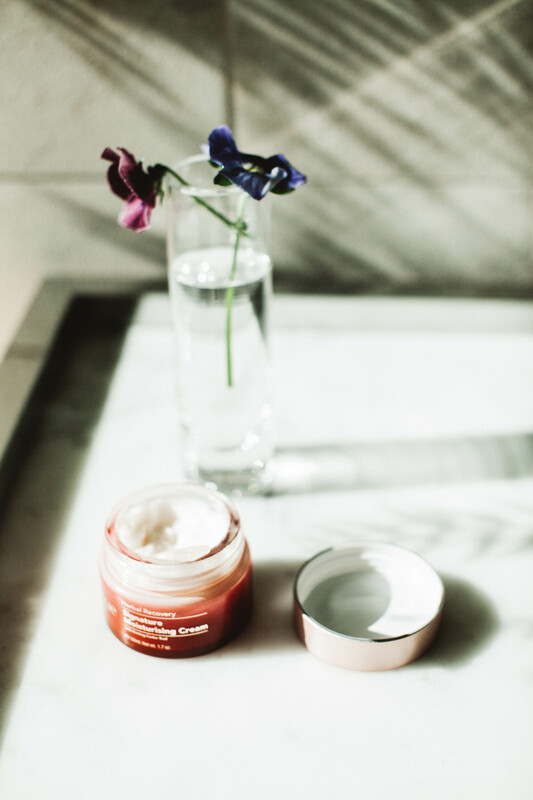 It’s a delicate area and one of the first areas we show aging, so we need to give it some love with a proper eye-cream, not just a face moisturiser. 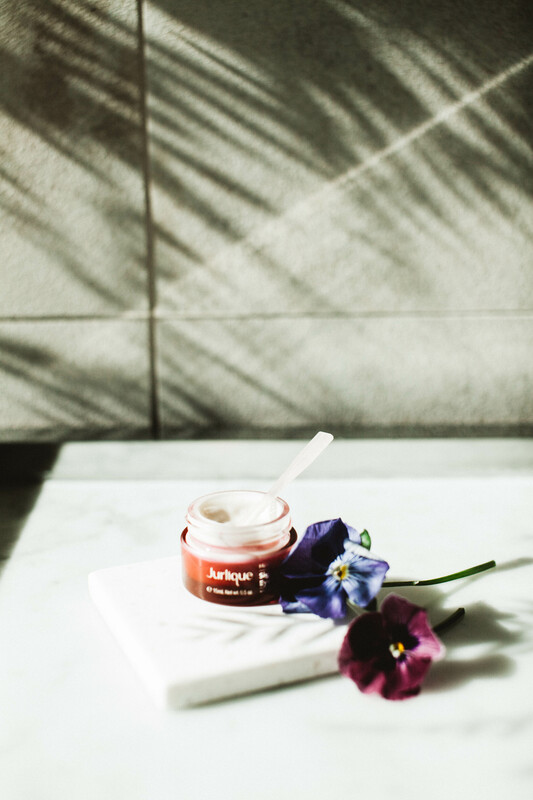 The Jurlique Herbal Recovery eye-cream is super rich and features natural antioxidants. The best part? It’s clinically proven to improve the appearance of bags, circles and all those pesky fine lines we all don’t want! 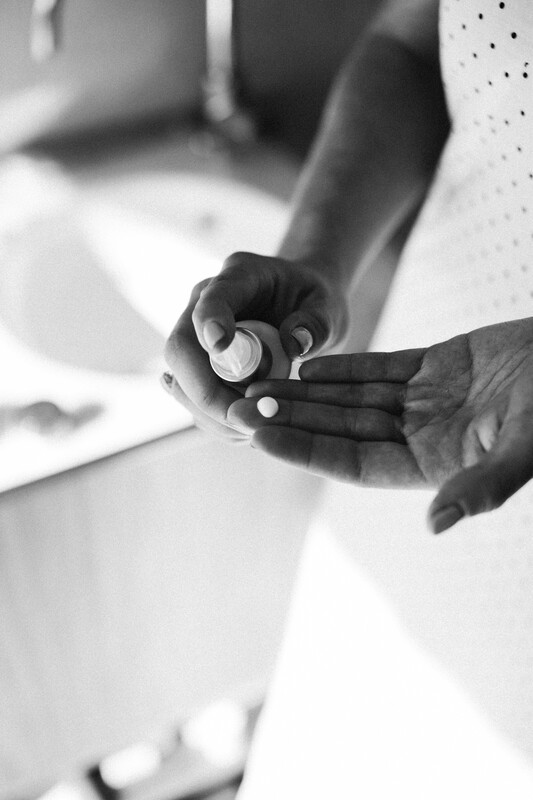 The final piece of the puzzle, and probably the most import piece to ensure your skin isn’t dry or dehydrated, is a lotion, moisturiser or oil. I change literally with the weather. Sometimes I want something nourishing and lightweight and sometimes I want thicker. I’ll alternate based on what I feel like my skin needs. 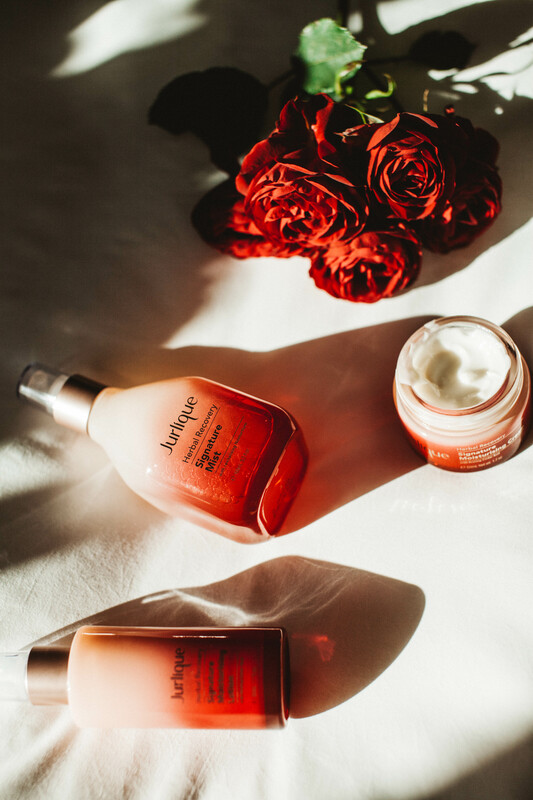 Both of these amazing products from Jurlique’s Herbal Recover range replenish and smooth the skin, which make your skin glow! 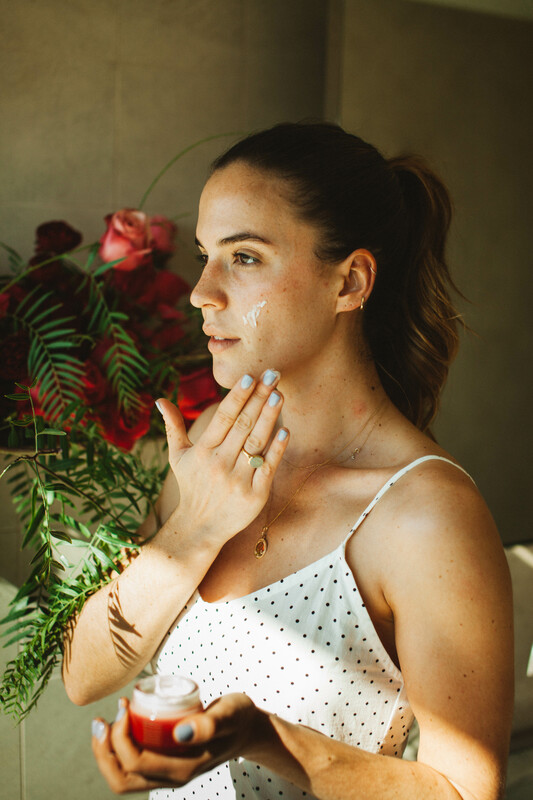 Improving your skin isn’t always about doing more, it’s about using the right products, and overall I have been loving the new range – it’s replenished my skin when I have need it most and it has been wonderful to use products that I know are good for my skin. Have you been layering your skincare like this? What do you do differently? 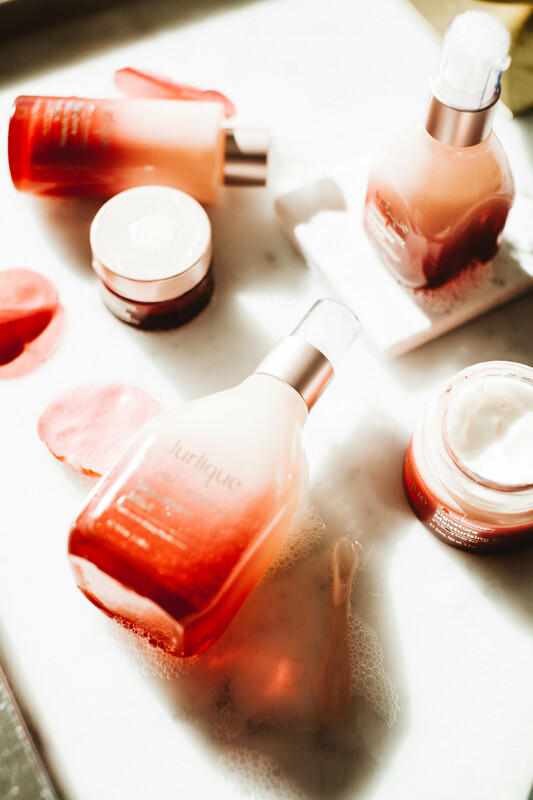 To find out more about the Jurlique story or all they’re amazing ingredients, check out their website here – it’s a really great story and brand message. In collaboration with Jurlique. All creative concepts and opinions are my own. SOURCE: Substance – Read entire story here.